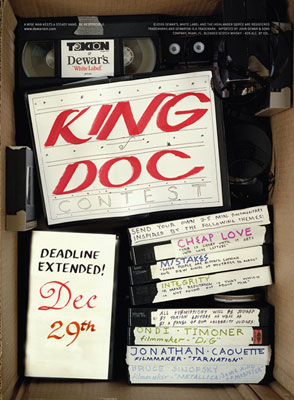 ‘King Of Doc’ contest, its now: DEC 29th, 2006.
copy of Apple’s Final Cut Pro 5.1 production suite. Only open to entrants at least 25 years old. DVD, MiniDV, or VHS format. Need to include: return address and contact info, including current phone no. and email. TOKION is not responsible for returning any submissions.